Surreal is an uplifting, progressive pop/rock band from Atlanta whose music explores some of life's most extraordinary moments. This vision took them to a top 25 spot on national indie radio! "You have to applaud Corey's song writing skills... I cannot help but imagine if these guys got a slot at the Reading festival they could really hit the big time… Surreal is a band with a lot of potential." "Surreal has completely changed how I look at and appreciate music. Everything about this band is absolutely incredible and inspiring. You will not find a more unique or heartfelt band out there. Their music is catchy yet diverse, and culminates in a feeling that is utterly breathtaking and uplifting." "You officially just received a biggest fan. I haven't heard anything like it. You're a genius, everything you write- whether it be musically or lyrically- it's gold. You're an amazing musician and so is everyone else in Surreal. And I'm honestly honored… to get to hear the music you make." "Received nothing but positive response. One listener in the chat room bought the album on the spot." "...There is no way to predict how a given song will unfold as one listens to it. There is so much diversity and scope WITHIN EACH SONG, let alone within the larger context of the album as a whole… Suffice to say for now, my dear Mr. Lennox, that I have been enchanted - swept away - by your compositions..."
"What I like most: it's not a clone of something. It's rather innovatory and fresh." 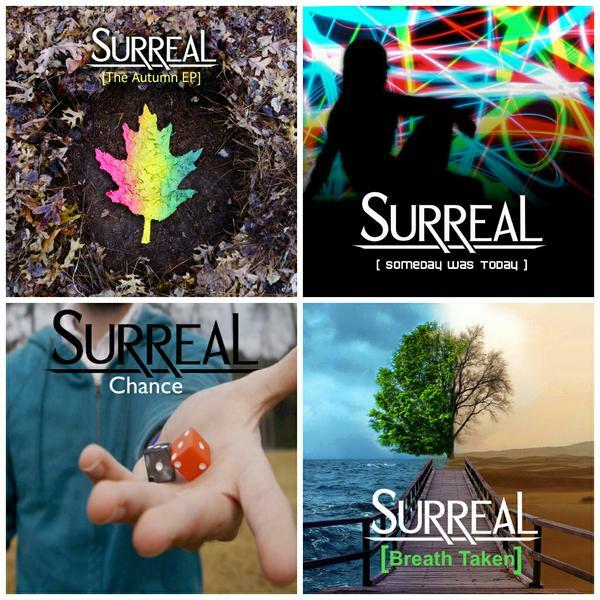 "I appreciate SURREAL's approach to music - trying to infuse it with an uplifting spirit, lyrically and tonally. "